Adult. 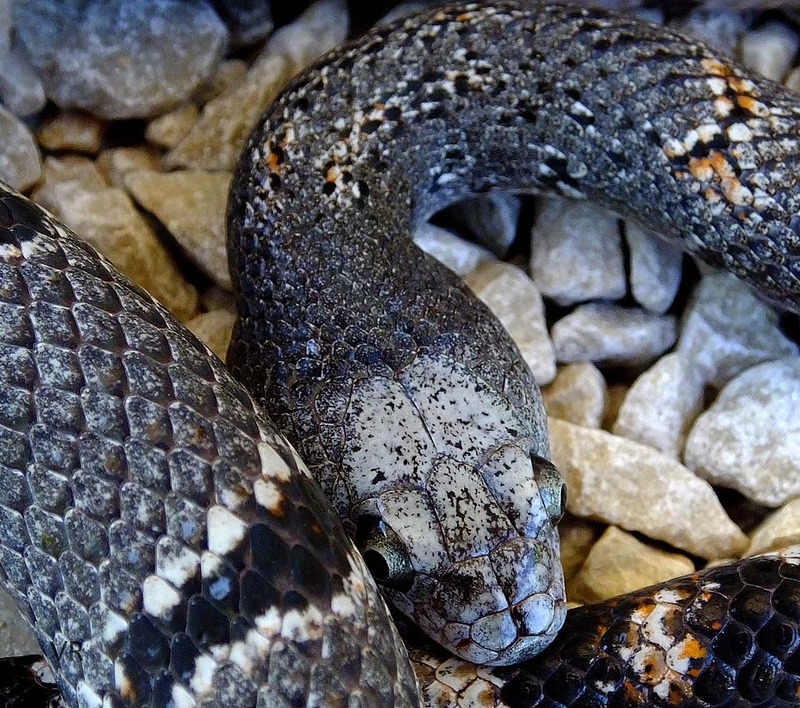 A fairly large subset of the Black Gap population develop into medium dark to dark phased snakes with pronounced, light, ashen gray heads extending from the parietal to the rostral scales. This is a very distinctive look and can be diagnostic of animals from this locality.